Attorney Svetlana Kaplun Helps Homeowners Choose Between Refinancing (Government HARP) and Loan Modification To Help Stop Mortgage Foreclosure and Save Their Home. 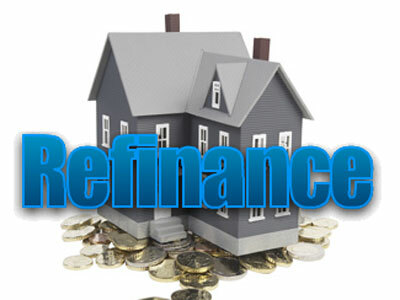 Refinance typically refers to substituting existing loan obligation with another debt that will contain new terms. Most common reasons for refinancing include: (1) reducing monthly payment by reducing the interest, (2) reducing or extending the term of the loan, (3) consolidating multiple loans into one, (4) switching from an adjustable rate mortgage to a fixed rate, (5) building up equity in the home more quickly, (6) freeing up some cash by agreeing to a longer term of the loan. When Is Refinancing An Option For You? Refinancing is always an option when you have good credit history and you could easily qualify for a loan. It is much more complex when you have stopped making mortgage payments and your credit history has been damaged. Therefore, refinancing with the Home Affordable Refinance Program (HARP) still requires you to apply for a loan and qualify. If you are unable to meet the requirements for the minimum credit score, debt-to-income ratios or out of pocket expenses, you may not qualify. How Do You Choose Between Refinance And Loan Modification? Loan modifications are an option only if you cannot qualify for a loan. If you are in foreclosure, there is a great chance that you could not afford to make your original monthly payments which led to your default. In such cases, you would likely not be eligible to refinance and loan modification would be a much better alternative. Click here for HARP eligibility. Why Do You Need An Experienced Attorney To Help You Refinance? An experienced attorney would first determine if your mortgage servicer participates in HARP. If the servicer indeed is a HARP participant, then an attorney will review all the contractual documents and disclosures, advise you of their meaning, your obligations, and handle the entire negotiation process with the lender. An attorney will then be there to protect your rights and interests at closing, ensuring compliance in accordance with the executed written instruments.